WHY TAP A PRINTED THREAD? While well modeled and toleranced threads can be functional after printing, insuring clean threads typically requires calibration for your specific printer model and thin layers, <0.1mm. After all, a thread is a continuous, unsupported overhang from start finish. Tapping a printed thread allows you to print faster, thicker layers and clean them up post-print. Going for speed, I've successfully printed 0.4mm layers with a 0.4mm nozzle and tapped them post-print. However, I recommend sticking to layers around 0.2mm thick. However, tapping holes does not have to be a pain and there is a new bit available that makes tapping printed threads effortless. A fairly new tooling type to market, Combination Drill and Tap Bits drill the pilot hole, tap and counter sink all in one bit. At ~$10-$15 for a set of 6, they are a steal. They will give you perfect threads every time. I recommend them for materials like plastics, wood and softer metals. I have broken one tapping 6105-T5 Aluminum - a 1/4-20 bit in the end of a 1010 80/20 extrusion - so use your traditional taps on the harder stuff. One of my Combination Drill And Tap Bits. 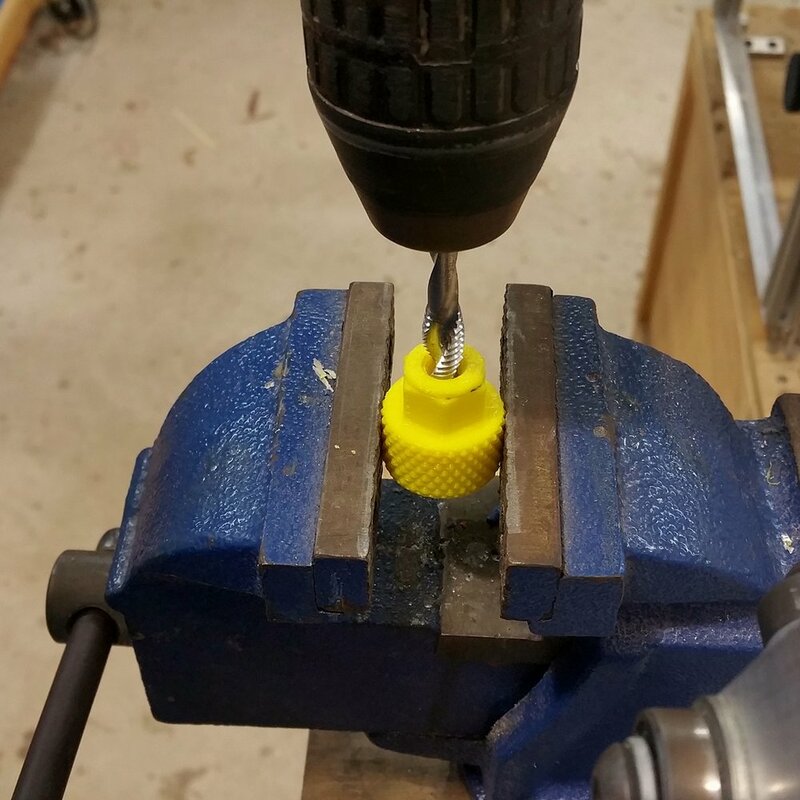 This 5/16-18 Dewalt bit came from Lowes, so check your local hardware store. They may have them in stock.